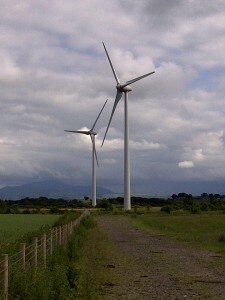 Construction of Hellrigg was completed in September 2011 and the wind farm is now operational. The wind farm, located south east of Silloth in Cumbria, consists of four turbines that can produce up to 9.2 MW of electricity – enough clean energy to power around 5,700 households each year. RWE npower renewables’ has made a voluntary commitment to the local Community to create a new community fund which will support local projects and organisations. RWE npower renewables is investing £15,000 in the fund each year, totalling more than £300,000 over the life of the wind farm. The fund is managed by Cumbria Community Foundation. Grants will be available for charitable activities for communities located close to the Hellrigg Wind Farm (Silloth or the parishes of Home St Cuthberts, Holme Low and Holme Abbey). Groups within the parishes can apply for funding from this for projects they wish to undertake. It is to be hoped that some of the ideas within our Parish Plan may find the necessary funding from the Hellrigg fund. The fund is now open for applications. For details of how to apply and an application form please visit the Hellrigg Community Fund page on the Cumbria Community Foundation’s website here. Please refer to Hellrigg Community Benefit Fund Guidelines for full criteria before Applying Online.